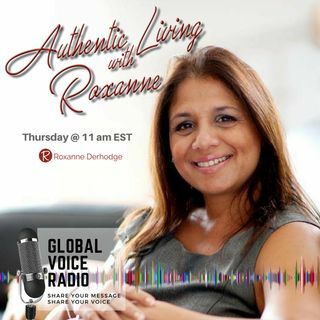 Listen to Authentic Living with Roxanne, https://www.spreaker.com/show/authentic-living-with-roxanne, Thursday at 11 as I interview @BernyDorhmann CEO of CEOSPACE. Berny is known as the coach of coaches advising CEO's in the largest Industries, heads of State, celebrity thought leaders with relationships over the last 20 years that have included Jack Canfield of Chicken Soup for the Soul, Bob Proctor and Lisa Nicols stars of The Secret, John Gray of Men are from Mars and Women are from ... Maggiori informazioni Venus fame,renowned International speaker Les Brown and many other celebrities and adviser coaches. Join CEOSPACE, Brian Cuban and myself in June to become the most authentic version of yourself and watch massive growth right before your eyes. To register or for more information go to https://roxannederhodge.com/authenticconnectionmovement2018. To connect with Roxanne go to www.roxannederhodge.com and info@roxannederhodge.com.